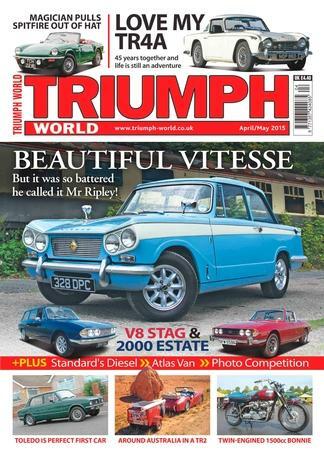 Triumph World magazine caters for anyone who is passionate about of all Triumphs - including the TR series, Vitesse, Herald, Spitfire, GT6, Stag and saloons - plus the much-cherished Standards. A subscription to Triumph World offers feature cars, technical help, memories of the factory days, news, views and show reports. In essence it captures the whole of the Triumph scene in one easy to read monthly magazine. By subscribing to Triumph World means that you will receive news on up and coming events, where you will be able to showcase your vehicle, look at others and meet fellow Triumph Enthusiasts. Be the first person to tell us what you think about Triumph World (UK) and you'll save $5 on your next purchase!